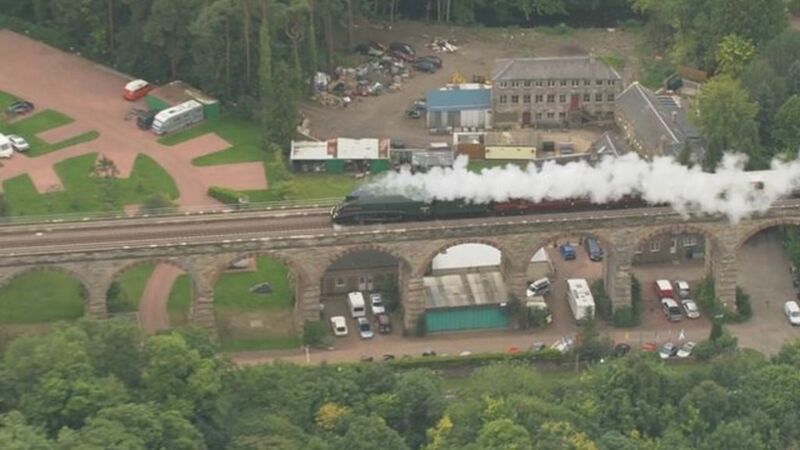 Steam trains should return to the Borders Railway next year despite the disruption they caused, according to Scottish Borders Council. The service was hugely popular when it ran on the new line for six weeks earlier this year. However it caused delays and disruption to the main commuter service on the route between Edinburgh and Tweedbank. Rob Dickson, the council's corporate transformation and services director, said it was a 'price worth paying'. Steam trains should return to the Borders Railway next year despite the disruption they caused, according to Scottish Borders Council. Preserved A4 Pacific 60009 Union of South Africa passing the site of Glenesk Colliery with an Edinburgh - Tweedbank steam special on 10 September 2015. 60163 'Tornado' charges up the gradient through Fushiebridge. Journey’s end. 60009 Union of South Africa at Tweedbank on 9th September with the Royal Train.